For this graduate course, we redesigned a shock absorber and chassis for the Traxxis R/C vehicle. This particular brand of R/C car uses a complex set of mechanisms and parts to simulate actual off-road vehicles. The toys have generated a close-knit community of users who modify, repair, and other wise maintain their vehicles as they would an actual car. 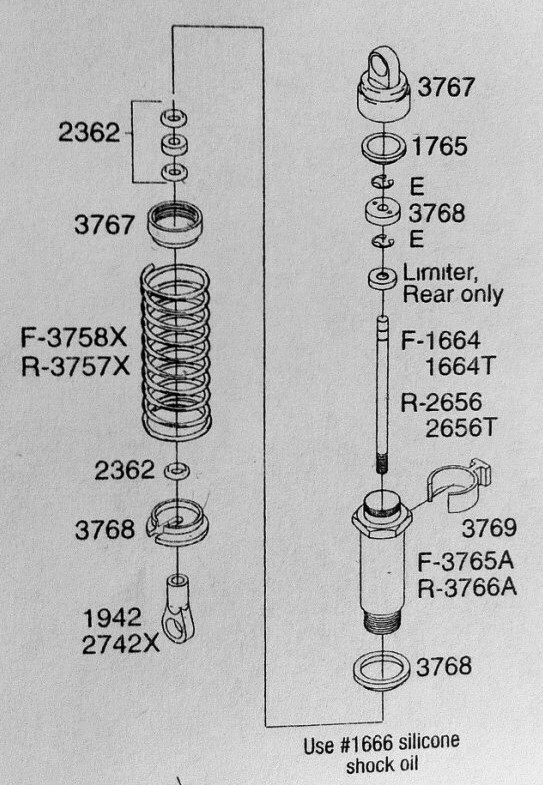 Image shows the schematic of a shock absorber for the Traxxis Stampede. Because of the complexity of the product, there are many areas where the manufacturability and assembly process may be improved. As our team inspected these closer, we realized that the design utilizes dozens of different fasteners, as well as multiple fasteners in low-stress regions. Additionally, users frequently complain about the mess (from the shock oil) and the general difficulty of of changing the shock damping rate. To address these concerns, our team decided to not only reduce the number of fasteners and parts, but to also add new functionality to the design. 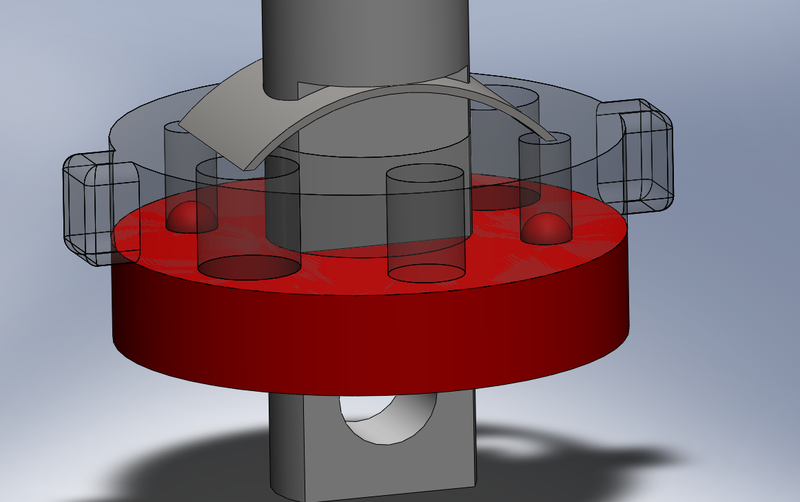 Since the disassembly of the absorber was messy and tedious, we chose a design that would allow the flow holes in the limiter to be adjusted by turning the shaft, externally. The design utilized a ball and divot arrangement on two rotating plates. A spring pushed the two plates together, locking the ball into the divot. One plate had two fixed limiter holes, and the other had three pairs of different sized holes. One plate also had nubs that locked into the cylinder wall to allow to the two plates to rotate independently. 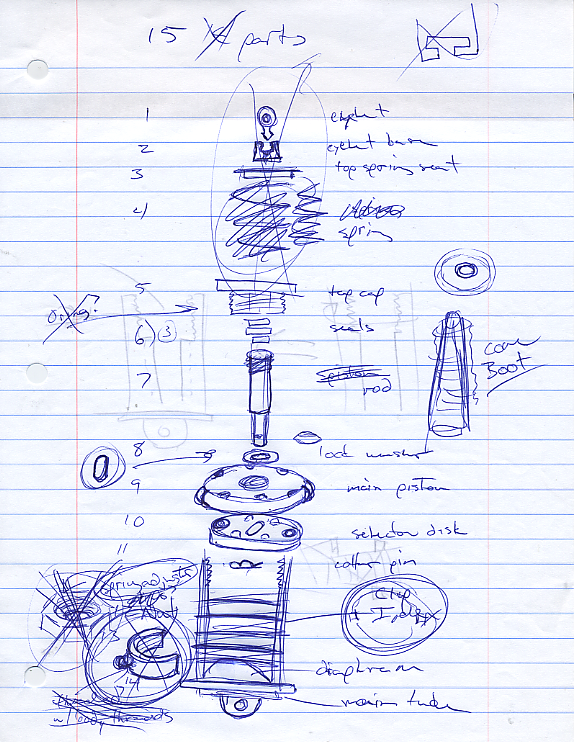 We reached this design through a few iterations of idea generation sessions and engineering modeling. 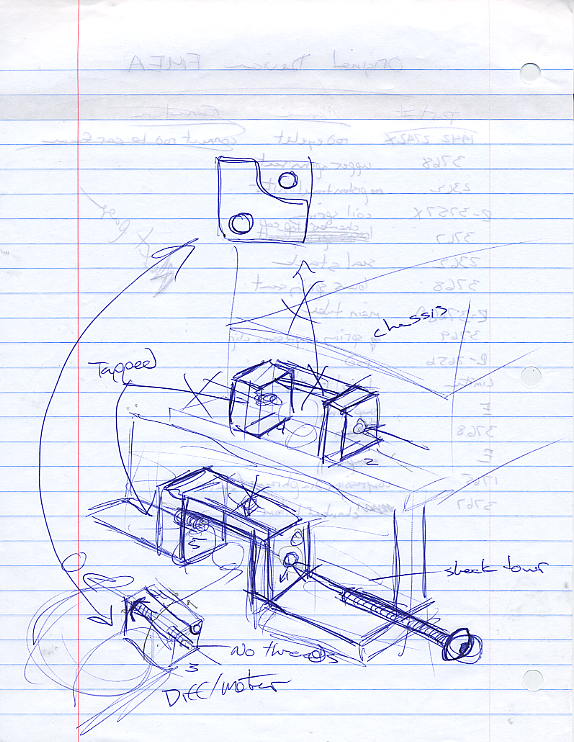 Below a few sketches are highlighted. 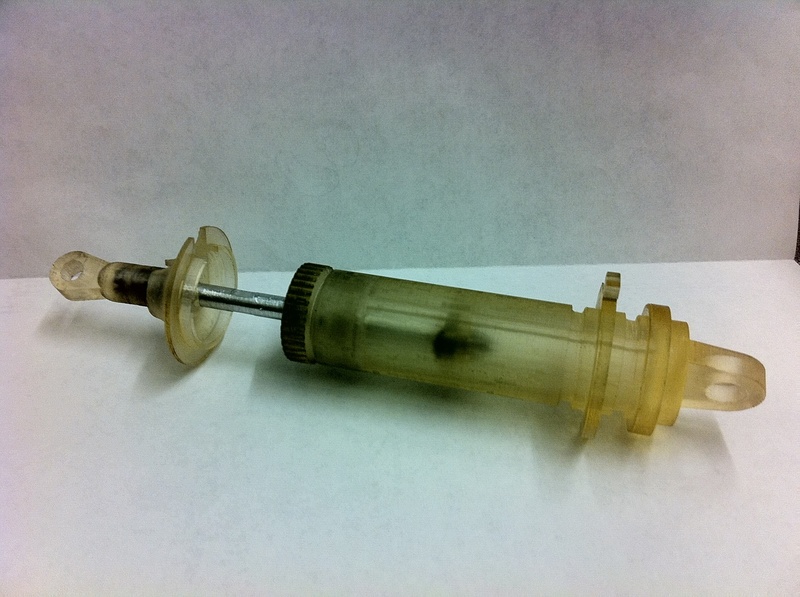 To demonstrate our design, our team printed a prototype using SLA at a 2:1 ratio. We then filled the device with water and gave it a spring. By turning the shaft with a wrench, there was a noticeable difference in damping between the three modes.